Skin failure is an emerging concept that deserves wider acceptance, particularly in the palliative care setting. Clinicians have long recognized that skin failure exists, but adoption of the name has been limited due to lack of a universally accepted definition. Terms such as Kennedy Terminal Ulcer (KTU), Skin Changes at Life’s End (SCALE), and the Trombley-Brennan Terminal Tissue Injury (TB-TTI) have been advocated to describe skin breakdown in patients who are dying. However this nomenclature does not fit into the clinical course of wounds that have similar characteristics in patients who recover from critical illness but have residual pressure injury. The term 'skin failure' assembles these phenomena into an easily understandable and more clinically accurate term. Pressure ulcers are often associated with lapses in quality of care. However, there is growing recognition that pressure ulcers can occur in circumstances when risk is recognized and prevention measures are implemented. We now have improvements in life-support technologies in intensive care, hospital, and rehabilitation settings applied to an increasingly high-risk population that effectively prolongs life, negating terminology that implies imminent mortality. I propose clarification of nomenclature through recognition of skin failure as a clinical syndrome that shares similar mechanisms with other organs. This includes a conceptual framework that some pressure ulcers, whether or not associated with mortality, are unavoidable consequences of skin failure. I propose the following definition: “Skin failure is the state in which tissue tolerance is so compromised that cells can no longer survive in zones of physiological impairment that include hypoxia, local mechanical stress, impaired delivery of nutrients, and buildup of toxic metabolic byproducts"(Levine, Adv Skin Wound Care 2017). 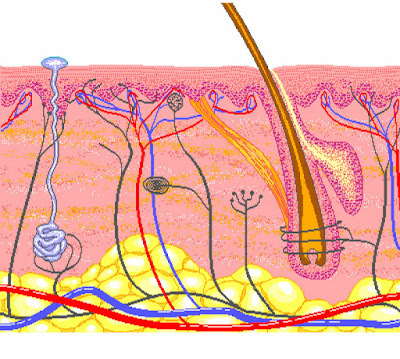 Skin, the largest organ of the body, performs a variety of complex functions. If skin no longer fulfills its role maintaining vasomotor tone, body temperature and water balance, and ceases protecting the body from infection and mechanical trauma, it is failing. In this model the KTU and SCALE are manifestations of skin failure. Skin failure can account for the high rate of breakdown in the setting of multi-organ system failure in the ICU, and wounds that occur at the end of life. By folding these observations into the spectrum of skin failure, quality deficit implications are removed and the terminology becomes more accurate. Recognition of skin failure will lay the foundation for common nomenclature and open new directions for research. From a clinical perspective this terminology provides more accurate classification of an identified disease state that will facilitate data collection for research and improve quality measurement. In an era of data driven, outcomes oriented, value based care, it is time to create a unified approach to skin failure – a phenomenon that occurs in the course of acute and chronic illness as well the end of life when the body is shutting down. Identification of skin failure is especially important in the palliative care setting when the body is breaking down and cure is not the goal. Due to popular demand I am delighted to announce that there will be a second live presentation of Dr. Elizabeth Ayello’s and Dr. Jeffrey Levine’s webinar, titled Unavoidable Pressure Injuries, Terminal Ulceration, and Skin Failure: Where Are We and Where Are We Going? at 3:00 PM ET on Thursday, November 16, 2017. This webinar will review the evolution of concepts regarding unavoidable PI, terminal ulcers, and skin failure and define current concepts and terminologies as they exist today. This webinar will also review the evidence for each concept, state current CMS regulations and guidance regarding these concepts and suggest a path for the future. This second live session is available to the first 2,000 registrants so register today! 1 hour of multidisciplinary CE is also available! If you are unable to attend the live webinar or are interested in viewing previous webinars that were presented in 2015, 2016 and this year please visit the following website to access the recordings and handouts: http://www.npuap.org/resources/educational-and-clinical-resources/complimentary-educational-webinars/. IS there any chance this can be offered again as the webinar is already full? This is such an excellent topic for discussion and something we are challenged with daily especially as the transition to death occurs. Thank you. There is little evidence for the KTU, which is a discussion point in the upcoming webinar. I am so sorry that it is full! The response has been unexpectedly large, but the webinar will be posted for download on the NPUAP website. Susan I am happy to announce that NPUAP has added a second webinar because of popular demand for this material, see the addition to the post above. Look forward to the webinar, maybe an improvement in Care home communications would help ease off the potential of skin failure in End of Life situations. A better integrated system to give better quality care. Im glad to see this article. For years I have pushed facilities to accept Skin Failure as a diagnosis that would place patients into the "high risk" category with regard to anticipation of possible skin breakdown. We need to use this to educate families (and their lawyers) that not all ulcers are avoidable. It is every bit as real as heart failure and liver failure and kidney failure.